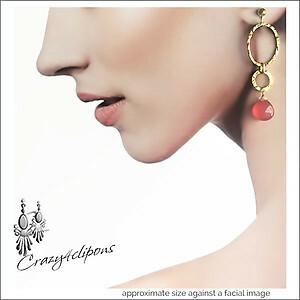 Features: These earrings are just lovely. 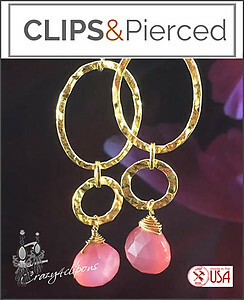 Texture comes from 14 K Gold filled hammered ovals paired with a luscious chalcedony faceted teardrop in a soft pink color. Hand wrapped in gold filled wire. Simply Delicious!